string(54) "Tacoma General Milgard Emergency Department SQUARE.jpg"
string(79) "public://projects/list/Tacoma General Milgard Emergency Department SQUARE_0.jpg"
Milgard Pavilion provides a state-of-the-art facility built to expand Emergency Department services. 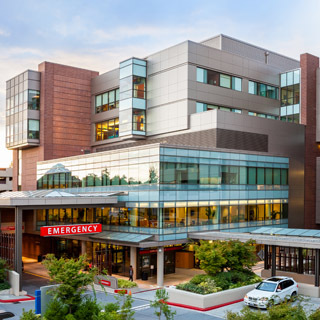 The new addition brings the facility to 250,000 SF and eight stories, and houses 77 patient exam and treatment rooms as well as the MultiCare Regional Cancer Center, which includes 27 oncology exam rooms. The structure combines a structural steel and concrete vertical system with a ductile concrete core wall lateral system designed utilizing the latest Performance Based Seismic Design requirements to provide the highest degree of life safety for the occupants. string(29) "Raisbeck Aviation High School"
string(40) "Raisbeck Aviation High School SQUARE.jpg"
string(65) "public://projects/list/Raisbeck Aviation High School SQUARE_0.jpg"
Raisbeck Aviation High School provides state of the art education. 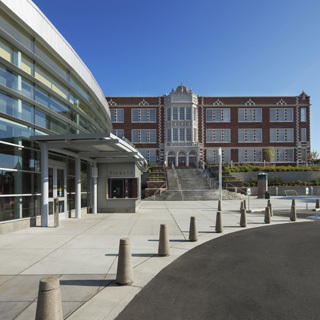 Anchored beneath the daily flight patterns at Boeing Field and adjacent to the Museum of Flight, this three story 86,000 square feet STEM (Science Technology Engineering Mathematics) based school offers nearly endless opportunities. A truly innovative learning environment prepares students in the fields of aviation, aerospace and related disciplines through highly interactive, project based learning. The building structure consists of 3-levels of steel framed construction. The Mechanical Penthouse roof is supported by the signature curved steel beams that mimic the form of a fuselage. 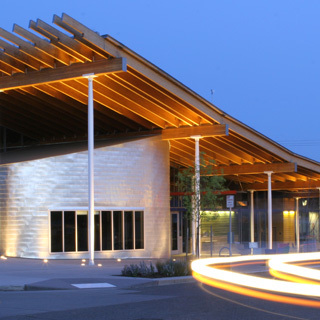 Additional features include the slanted steel columns to the north, the “swoosh” or wing wall at the east terraces, 60’ long castellated beams and 8 ½” composite acoustical Epicore deck over the Commons. Below grade the foundation was designed to resist the additional forces associated with the potential of lateral spreading of the site soils. The building sits atop 4’ deep concrete pile caps over 90’ deep driven steel pipe piles in order to mitigate the effects of liquefiable soil. 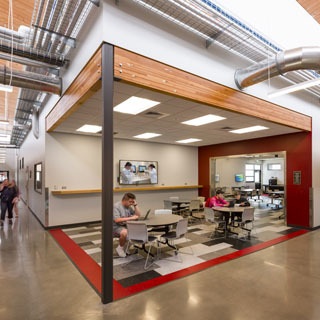 A coordinated 3D model was utilized to provide a flexible, open floor plan with viewing terraces and community spaces to meet the schools highly interactive, project based learning style. string(41) "Raisbeck Aviation High School FEATURE.jpg"
string(68) "public://projects/featured/Raisbeck Aviation High School FEATURE.jpg"
string(47) "University of Washington Bothell Discovery Hall"
string(53) "University of Washington Bothell Discovery SQUARE.jpg"
string(76) "public://projects/list/University of Washington Bothell Discovery SQUARE.jpg"
Discovery Hall serves as a five story 74,000 SF academic “hub” for Science, Technology, Engineering, and Mathematics (STEM) programs. In order to achieve the rigorous vibration performance criteria due to sensitive equipment in labs and classrooms, PCS designed a concrete framed structure. The structural design features board-formed concrete walls, cantilevered concrete stairs and exposed concrete slabs, beams, and columns. 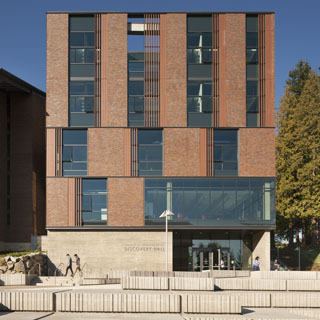 Discovery Hall is clad in a stunning array of glazing, brick veneer, and masonry baguettes. string(54) "University of Washington Bothell Discovery FEATURE.jpg"
string(83) "public://projects/featured/University of Washington Bothell Discovery FEATURE_0.jpg"
Parkside Elementary is situated on a beautifully wooded and steep sloped site with natural stream and mountain views to the west. A 65,000 sq. 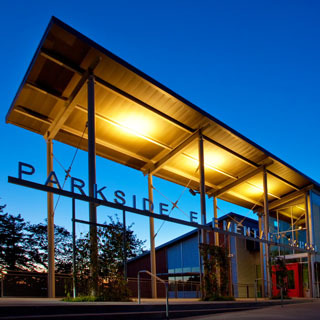 ft. elementary school in the Highline School District near SeaTac Airport, the two-story steel framed building is highlighted by a dramatic covered steel entry. The entry blends into a concourse which follows the flight path of the planes above and bisects the classrooms nestled in the woods downslope from the administration spaces uphill. Exposed structural steel and concrete elements complement the native landscape that is viewed through generous day lighting. Parkside Elementary received a Merit Award from the AIA SW Washington Chapter in 2011.
string(37) "New Kukui'ula Hale Kaimana SQUARE.jpg"
string(60) "public://projects/list/New Kukui'ula Hale Kaimana SQUARE.jpg"
The structural design of this Kauai south shore home allows for sweeping panoramic ocean views from all levels of the hillside lot. 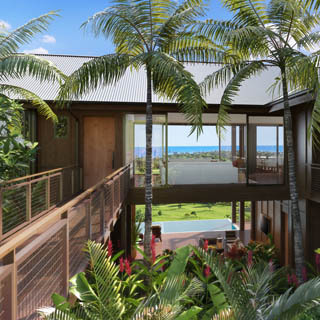 The main living spaces are framed out of expressed custom milled timber and steel hybrid members that allow for a minimal amount of structural walls, while featuring concealed connections that might otherwise distract residents from experiencing the natural Hawaiian landscape. The residence features board formed concrete walls, ipe clad lanais, and a concrete formed swimming pool that points toward the coastal surf. The roof form celebrates classic Polynesian architecture while concealing insulated panels that improve the energy efficiency of the island estate. string(38) "New Kukui'ula Hale Kaimana FEATURE.jpg"
string(65) "public://projects/featured/New Kukui'ula Hale Kaimana FEATURE.jpg"
string(35) "W.F. West High School STEM Addition"
string(19) "WF West HS LIST.jpg"
string(42) "public://projects/list/WF West HS LIST.jpg"
The new STEM wing at W.F. West High School adds 16,500 SF of state-of-the-art classrooms and science labs for students in Chehalis School District. The design celebrates the building structure for the benefit of its students, featuring exposed roof joists in the classrooms and exposed T&G 2x decking and beams at the vaulted corridors throughout the building. This building brings a fresh look to an existing high school campus that will benefit the community for years to come. The exterior walls are integrated with multiple windows, canopies, and doors to provide better daylighting and visibility into the classroom experience. Steel columns and beams were added to the wall structure to provide a seamless transition between the architecture and the structure. The steel structure allowed exterior walls to be framed with traditional 2x6 wall studs, maximizing the usable square footage. The design incorporated continuous clerestory windows along the corridor; in order to provide uninterrupted daylight without shear walls, steel columns were added at mullions to laterally brace the upper roof and eliminate the solid wall requirements for shear walls. string(22) "WF West HS FEATURE.jpg"
string(49) "public://projects/featured/WF West HS FEATURE.jpg"
string(59) "University of Washington Tacoma - Tacoma Paper & Stationery"
string(38) "UWT Tacoma Paper & Stationery LIST.jpg"
string(61) "public://projects/list/UWT Tacoma Paper & Stationery LIST.jpg"
string(38) "UWT Tacoma Paper & Stationery Building"
This 40,000 SF, $19 million adaptive re-use project updated the historic Tacoma Paper & Stationery Building—previously a biscuit and candy factory, and former home to Tacoma’s Old Spaghetti Factory restaurant—to house science classrooms, a makerspace, and other collaboration and event space. Iconic details include full-height storefront walls that open the ground floor to the Prairie Line Trail promenade, and interior details and furniture made out of salvaged flooring from the original building. string(41) "UWT Tacoma Paper & Stationery FEATURE.jpg"
string(68) "public://projects/featured/UWT Tacoma Paper & Stationery FEATURE.jpg"
string(27) "Lake Washington High School"
Lake Washington HS consists of a new $73.5 million, 212,000 SF facility with four learning communities each with labs, studios and classrooms. New CMU gyms and an auditorium are also featured on this campus. The exterior includes brick, concrete, pre-finished metal panels and curtain wall. The commons entry features an expansive steel framed canopy, while custom steel trusses provide a pedestrian walk way that spans the length of the library and ties the east and west classroom wings together. 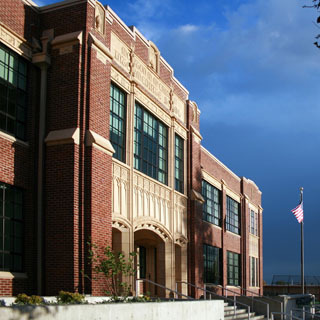 Lake Washington High School is just one example of many successful projects with the Lake Washington School District. string(39) "Lake Washington High School FEATURE.jpg"
string(66) "public://projects/featured/Lake Washington High School FEATURE.jpg"
string(26) "Waipolu Gallery and Studio"
Situated where Diamond Head meets the Pacific Ocean at the east end of Waikiki Beach is a unique space for the display of a private modern art collection. 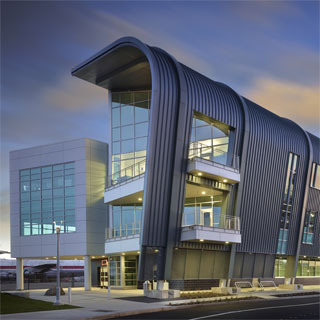 The multiple award winning building consists of two varied wings separated by an exterior stair. The main gallery is a copper sheathed sculptural form set against a solid rectangular lava clad wall. The gallery is oriented to provide framed views of Diamond Head and the Pacific at each end and has large overhangs sized to protect the art from direct sun. A spectacular clear glass bridge that appears to float between the two wings is accessed from the office in the eastern element and allows an upper floor overlook of the gallery. The office is located on the middle floor of a three story concrete slab - stainless steel column structure that steps up the steep slope. The upper floor has guest quarters and includes a large sunny deck with views of the Pacific through the tops of the palm trees. 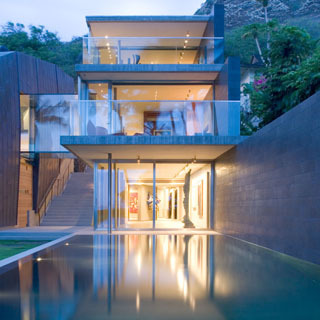 A swimming pool reflects light into the ground floor which contains additional art display and storage. Some of the paintings here are displayed on five pivoting walls that allow for exhibition of the art in several different configurations. Photography by Nic Lehoux Architectural Photography. string(35) "Wilkes Elementary School SQUARE.jpg"
string(58) "public://projects/list/Wilkes Elementary School SQUARE.jpg"
Wilkes Elementary School provides 63,000 SF of multiple classroom wings, which are separated by outdoor courtyards that flow downhill to the playground and ball field. In order to allow the geographical interaction between learning and play spaces, the classroom wings are linked together by steel framed pedestrian bridges. The roof structure is exposed to view throughout the school to showcase wood decking and glu-lam beams, which frame into steel wide-flange girders. 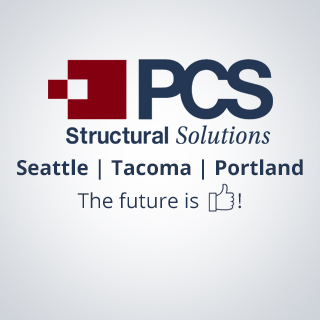 PCS Structural Solutions created an “inverted” lateral collector system in order to allow for floor to roof curtain wall that provide indirect natural day lighting. Rather than collecting roof lateral loads to beams below the decking, they are collected to steel plates that sit on top of the decking. In 2014, Wilkes Elementary was named a CEFPI Maconnell Award finalist, which identifies top K-12 projects around the globe. It also was recognized with the Polished Apple (highest honor) and People's Choice awards at the Washington State CEFPI conference in the spring of 2015.
string(38) "Wilkes Elementary School FEATURE 2.jpg"
string(65) "public://projects/featured/Wilkes Elementary School FEATURE 2.jpg"
Montecito Residence is a single-family home located within a fire-prone canyon in Southern California. The home which is less than 3,800 SF was designed to conform to the tear drop shape of the existing site and make use of the scarce natural resources of the area. 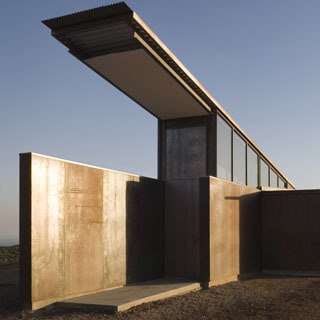 The large exposed structural steel roof, designed with A588 Weathering Steel, shields the elevated glass-enclosed living area from the sun and allows the home to be naturally cooled by offshore breezes which flow through the home with the help of the tall entry door. The roof and gutter system of the large roof plane was designed to direct all runoff to a cistern for the irrigation of the native landscape. 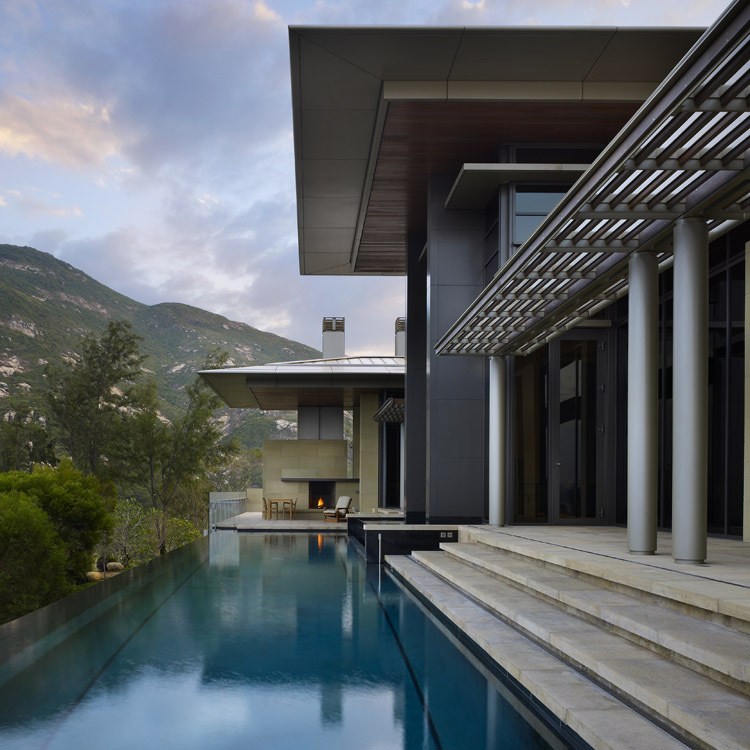 The home has received multiple national and regional design awards, appeared in several books, and been recognized in dozens of magazines worldwide such as Architectural Record, Residential Architect, Sunset Magazine and The New York Times. string(48) "Seattle Central College Seattle Maritime Academy"
string(33) "Seattle Maritime Academy LIST.jpg"
string(56) "public://projects/list/Seattle Maritime Academy LIST.jpg"
This new 25,000 SF two-story steel framed educational facility provides a unique space where students can train for a career in the maritime industry. 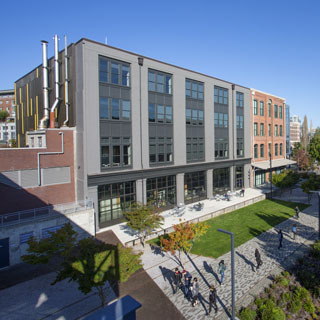 In addition to renovations of the existing Maritime Building, the project includes classrooms, simulation labs, engine mechanical labs, office space, and a green roof. The building was constructed with structural steel framing, concrete floors, concrete shear walls, and an extensive exterior skin system comprised of brick veneer and storefront. Pump handle foundations were utilized to allow the south wall structural steel frame to occur over the existing waterfront bulkhead deadmen, which fully utilized the site for the required programming. string(36) "Seattle Maritime Academy FEATURE.jpg"
string(63) "public://projects/featured/Seattle Maritime Academy FEATURE.jpg"
string(23) "La Conner Middle School"
string(23) "La Conner MS SQUARE.jpg"
string(46) "public://projects/list/La Conner MS SQUARE.jpg"
When La Conner School District outgrew its historic 1930s elementary school, the school district first planned to renovate the structure. However, cost concerns and flood plain upgrade requirements at the sea-level site prompted the district to plan a complete replacement of the school instead. This project became part of their campus restructuring effort, along with switching the middle and elementary schools. The new 38,400 SF wood-framed middle school is elevated above the flood plain using auger-cast piles and features a host of modern upgrades, including a library with an electric fireplace and built-in computer bar, a fitness and weights room, a multipurpose room with tables and school logo made of reclaimed wood from the former gym floor, and an elevated walkway to connect the middle school and adjacent high school. 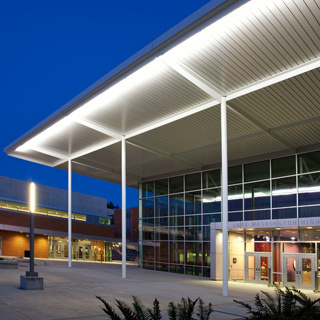 PCS designed long-span glu-lam beams at the multipurpose room roof, providing a warm and inviting environment for all students. string(24) "La Conner MS FEATURE.jpg"
string(51) "public://projects/featured/La Conner MS FEATURE.jpg"
The Ballard Library, an 18,000 SF facility, features a 3,000 SF Neighborhood Service Center and an underground parking garage. This project showcases state-of-the-art recycling, energy efficiency and water conservation, with an 18,000 SF green roof that boasts fourteen plant species and serves as a bird habitat. 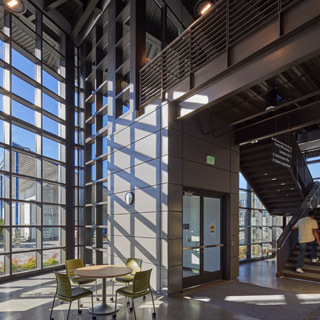 A featured project in Architectural Record magazine, the facility is a recipient of the AIA National Honor Award for Architecture, as well as one of the first recipients of a letter of commendation for design excellence in innovation from the Seattle Design Commission. string(31) "Garfield High School SQUARE.jpg"
string(56) "public://projects/list/Garfield High School SQUARE_0.jpg"
This renovation project consisted of a 255,000 SF modernization and addition to a historic 1922 Seattle School District building. Supplemental concrete shear walls and steel collectors were added in order to increase lateral strength and stability. At the new performing arts center and gymnasium the masonry walls extend above the floor 38 feet in order to provide high volume that enhances theatric and athletic events. PCS Structural Solutions worked with the geotechnical engineer to provide reinforced earth adjacent to a two-story concrete wall that matches the curve of the adjacent track - minimizing earth pressure against the building and significantly reducing construction cost. string(33) "Garfield High School FEATURED.jpg"
string(60) "public://projects/featured/Garfield High School FEATURED.jpg"
string(34) "Garfield High School Modernization"
string(26) "Hong Kong Villa SQUARE.jpg"
string(49) "public://projects/list/Hong Kong Villa SQUARE.jpg"
Situated on a rocky hillside overlooking the South China Sea, this home was designed to face the elements. Primarily composed of concrete and steel, it is clad with limestone and glass. Intricately detailed structural steel supports broad overhangs to provide the thinnest profile possible. string(21) "Hong Kong Villa 2.jpg"
string(48) "public://projects/featured/Hong Kong Villa 2.jpg"
As a neighborhood landmark since its original construction in 1925, McCarver Elementary—named for Morton Matthew McCarver, the “founder of Tacoma”—has a long history of innovative program offerings, from gifted learning and vocational courses to being the first magnet school in the United States. The historic modernization of this 83,000 SF school features flexible spaces that can be utilized in multiple different ways, a cafeteria that doubles as a teaching kitchen and community space, and upgraded site amenities. Seismic upgrades included a shotcrete shear wall layout capable of resisting the full seismic loads, micropile wall anchors, and fiberwrap at existing slabs to increase their strength in highly stressed areas. string(30) "Providence West Olympia Clinic"
string(34) "Providence West Olympia SQUARE.jpg"
string(57) "public://projects/list/Providence West Olympia SQUARE.jpg"
A former retail store finds new life as a family medicine office with the Providence West Olympia Clinic. 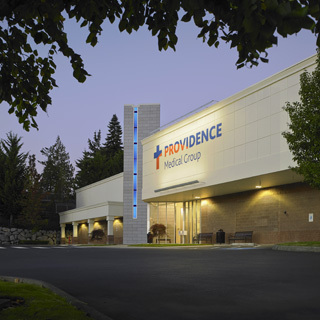 This economical renovation transforms the building’s spacious 24,000 square feet to deliver healthcare services to Olympia patients. A signature tower framed with hollow structural section (HSS) steel, which achieves the architect’s vision while meeting strength and stiffness criteria, marks the entryway and stands as a beacon to the community. Inside the clinic, PCS designed new structural supports for a mechanical unit mezzanine platform and a new art installation in the lobby. The artwork, a massive relief map of Olympia’s inlets and peninsulas, both honors the clinic’s unique South Sound location and complements the clinic’s spatial organization, which has exam room wings named after the same local inlets shown on the map. string(35) "Providence West Olympia FEATURE.jpg"
string(62) "public://projects/featured/Providence West Olympia FEATURE.jpg"
string(26) "Natrona County High School"
string(28) "Natrona High edited LIST.jpg"
string(51) "public://projects/list/Natrona High edited LIST.jpg"
Natrona County High School existed as a historic 4-story concrete framed structure designed and built around 1924, serving the Natrona County School District in Casper, Wyoming. 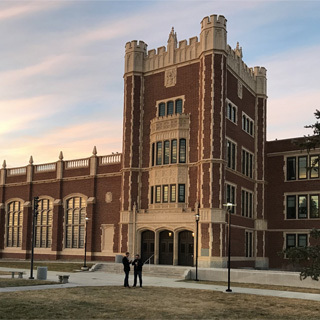 PCS Structural Solutions stepped up to the challenge of harmoniously integrating a 3-story steel framed addition and new gymnasium into the preservation and modernization of the original high school. The historic building is rich with beautifully blended terra cotta stone and brick veneer and includes a newly renovated auditorium. 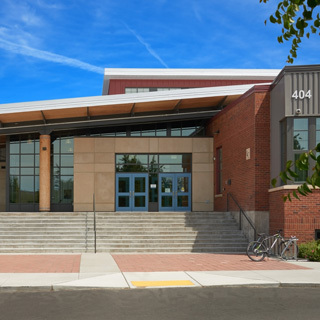 PCS was tasked with providing seamless building transitions through a 4-year phased construction cycle, allowing the high school to remain operational throughout construction. The Natrona County High School project is 287,000 square feet unifying a stunningly renovated historic building with a modern, flexible addition. string(32) "Vashon Island Library SQUARE.jpg"
string(55) "public://projects/list/Vashon Island Library SQUARE.jpg"
Vashon Island residents were intimately involved with ideas to help transform the cramped and dark existing King County Library building into a bright, spacious and comfortable place to meet fellow islanders or relax with a good book or magazine. The result added 3,400 square feet of space below a planted green roof and opened several walls of the existing 6,200 square foot library. Sky lit monitors were added to the existing roof to highlight the wood trusses that virtually disappeared in the original design. The exposed wood framed low roofs complement the existing trusses and are enhanced by hanging art mobiles. The mostly glass new exterior walls provide expansive views of the adjacent park and allow the library to become a beacon at night for the main island highway. 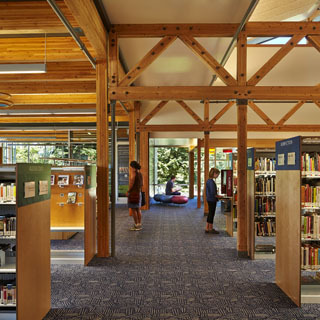 The use of the renovated Vashon Branch has significantly increased and it has become a great source of pride for the island community. 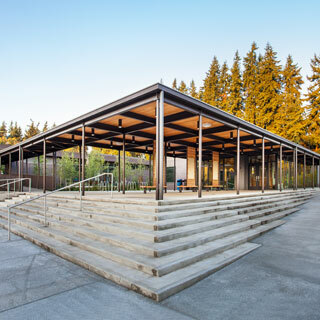 This project received a Civic Design Merit Award from the AIA Washington Council in 2017.
string(33) "Vashon Island Library FEATURE.jpg"
string(60) "public://projects/featured/Vashon Island Library FEATURE.jpg"